Special Collections is accepting applications for Freshman Fellows, a one-year fellowship exclusively for first-year students. The program is designed to introduce students to the joys, challenges, and thrills involved in conducting research with primary sources. 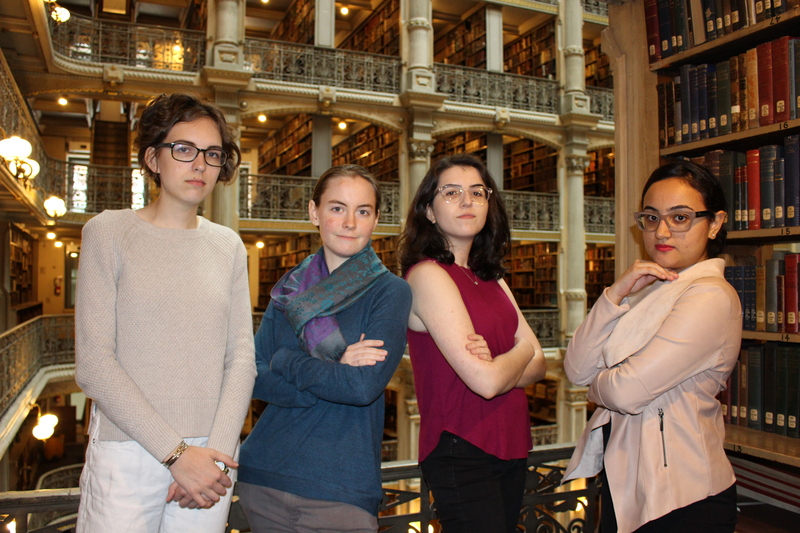 Limited to just four undergraduates, Freshman Fellows provides its scholars with support by pairing each fellow with a mentor who will guide them through every step of the research process. Successful students will also receive a stipend of $1,000 in honor of their research! Why should you apply? Because you will get to do original research with awesome rare things, be mentored by curatorial staff, and never be at a loss for small talk when folks back home inevitably ask how you like studying at Hopkins. In fact, your family will start hiding from you, taking turns eating turkey and pumpkin pie in closets as a way to consume their Thanksgiving dinners in peace. “Why did you ask our dear so-and-so about Freshman Fellows,” your family and friends will exclaim! “All we wanted was a meal with no mention at all about the top-quality education at Hopkins, the incredible depths of its Special Collections, and the absolute support students receive from librarians, curators, and archivists,” they all sign in unison. That’s right! Such potential family drama can be yours if you apply to be a Freshman Fellow! Fortunately for you, the application process is a breeze. All you need to do is write a 750-word essay on why you would like to be in the program and what you would like to research. If you are at a total loss as to what to explore, then fear not. Special Collections mentors have created nine different themed collections for you to discover, with topics ranging from communicating with the supernatural world to exploring various chapters in the secret history of Johns Hopkins University. If you still need further inspiration to apply, then definitely take a gander at the projects undertaken by last year’s Freshman Fellows! They traced the development of student housing at Hopkins, had intense words with Hamlet, explored the relationship between fashion and feminism in the nineteenth-century, and translated early modern Latin texts. Due to popular demand, we are extending the deadline to 11:59PM on Sunday, October 1! Send your applications or any questions you have about the program to me, your liaison to the curious world of Special Collections. I am waiting with bated breath for your applications. Apply before I get a case of the vapors!